A committee flagged the possibility that Canadians' rights may be infringed. The facade of the headquarters of the Department of National Defence is pictured in Ottawa, on April 3, 2013. OTTAWA — A national-security watchdog has called for stricter controls on the Canadian military's spying, including the possibility of legislation spelling out when and how defence intelligence operations can take place. In a report issued Tuesday, the National Security and Intelligence Committee of Parliamentarians said National Defence and the Canadian Armed Forces have one of the largest intelligence programs in Canada, yet these operations get little outside scrutiny. The committee, which examined thousands of pages and received several closed-door briefings, found that defence agencies carry out a full range of intelligence activities, collecting information through sensitive methods including technical means, human sources and investigations. It says these activities entail considerable risks, including possible infringements on Canadians' rights. The complete 5 part series on "the criminalization of dissent"
In all the press coverage of the “the SNC-Lavalin affair,” not enough attention has been paid to the company’s involvement in Site C – the contentious $11 billion dam being constructed in B.C.’s Peace River valley. 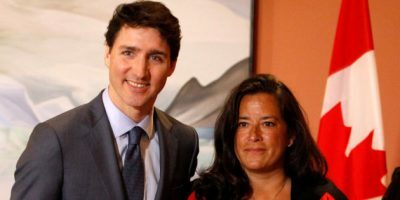 The Liberals say that any pressure they put on Jody Wilson-Raybould to rubber-stamp a “deferred prosecution agreement” for SNC-Lavalin was to protect jobs at the company. But the pressure may have been to protect something much bigger: the Liberals’ vision for Canada’s future. Site C epitomises that vision. When I was national leader of the Green Party of Canada,I found out in 1998 that I was on a RCMP Threat assessment list. In 2002 I filed a case about being on a threat Assessment list and was in Court was against Paul Partridge the Lawyer for the Attorney General office.. The lawyer from the then Attorney General Office was obviously acting in the political role of the Minister of Justice. I was appealing in court for the attorney General to reveal the reason for my being on the RCMP list. The Judge said that I did not have enough information; I replied that he placed me in a conundrum because the government had refused to divulge the reason for my being placed on the list. The judge struck my claim but did not dismiss my case and advised me to go through access to information and Privacy to obtain documents which I did but the responses were all didacted for international reason of security. In 2004,I wrote the enclosed letter to Irwin Cotler as Minister of justice and Attorney General and received no assistance from him. Irwin Cotler is purported as being concerned about discrimination on the grounds of political or other opinion in other countries yet not in Canada in 2004 when he was minister of Justice in his partisan role or as Attorney General, in his non partisan role. Cuba's Ambassador responds to the CBC News tendentious and manipulative article, Canada at odds with Cuban 'ally' over Maduro's fate. I reject categorically and in the strongest terms the tendentious and manipulative article "Canada at odds with Cuba 'ally' over Maduro's fate", written by journalist Evan Dyer and published today, Sunday, March 3, 2019, by CBC News. Good journalism does not speculate, it informs objectively. The assertion that thousands of Cubans would allegedly be inserted into the structures of the armed and security forces of Venezuela, holding the government of (legitimate) President Nicolás Maduro, is a scandalous slander. I demand that CBC News present a proof, which evidently it does not have, since it does not appear in the whole article. What might otherwise be the usual mudslinging around a student election has turned into a political firestorm on a Toronto university campus, where a newly-elected student president is raising questions about the source of pro-China attacks against her. On Saturday morning, Chemi Lhamo, 22, learned she'd been elected student president at the University of Toronto's Scarborough campus (UTSC). I would like to inform you that in the course of its 97th Session, the Committee on the Elimination of Racial Discrimination considered information received related to Site C dam and its impact on affected indigenous peoples in the Province of British Columbia, in Canada. According to the information received, the provincial government of British Columbia announced, in December 2017, that construction of the Site C dam would continue. In this regard, the Union of British Columbia Indian Chiefs (UBCIC) has launched a civil suit against the construction of the dam and asked for an interim injunction, subsequently denied, to halt construction until the case is settled. The Committee is concerned about the alleged lack of measures taken to ensure the right to consultation and free, prior and informed consent with regard to the Site C dam, considering its impact on indigenous peoples control and use of their lands and natural resources. The Committee is further concerned that the realization of the Site C dam without free, prior and informed consent, would permanently affects the land rights of affected indigenous peoples in the Province of British Columbia. AnAnalysis of the Dutch Court Decision: could this be a Precedent to be used in a case before the Supreme Court of Canada? Former Bank of Canada Head: Pipeline Protesters May Be Killed. So Be It.